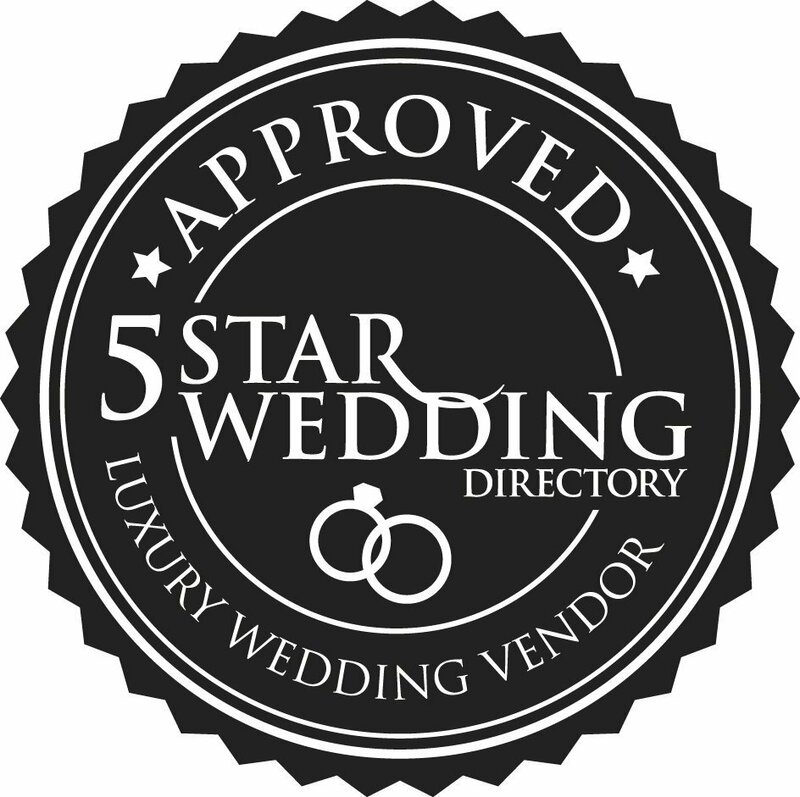 This is what we do! 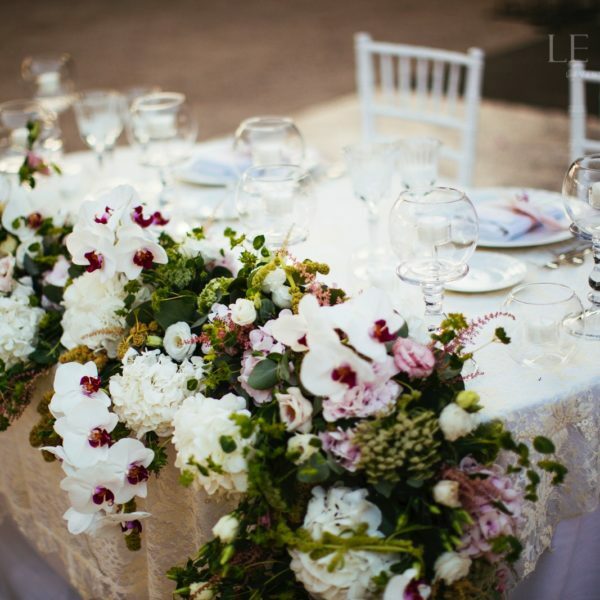 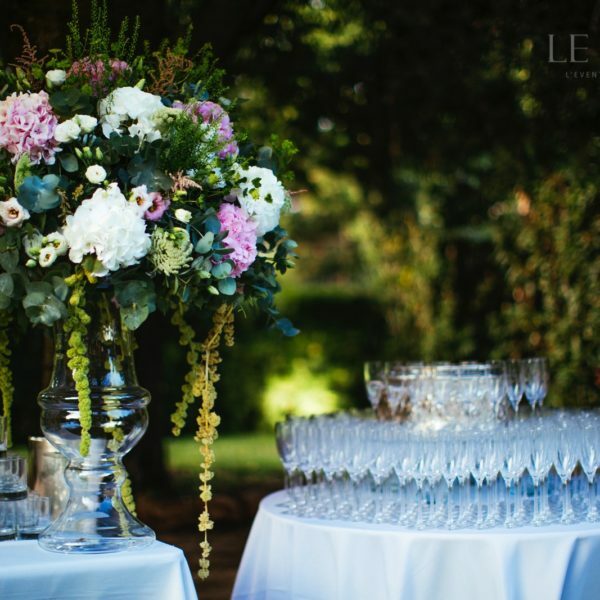 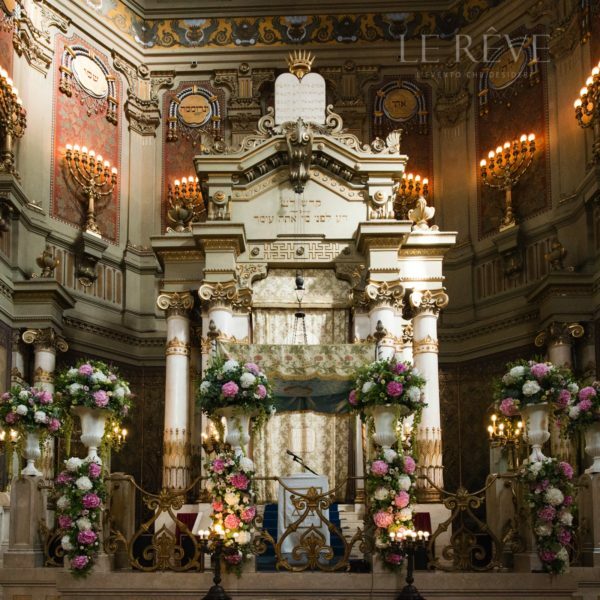 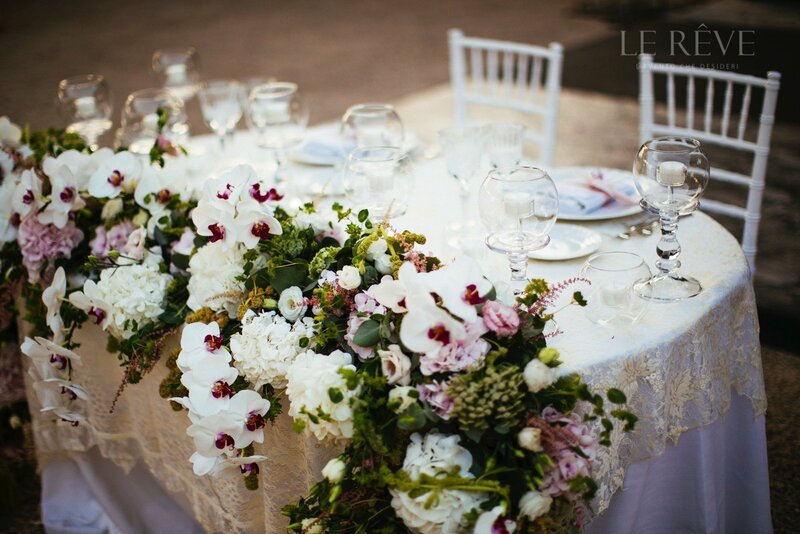 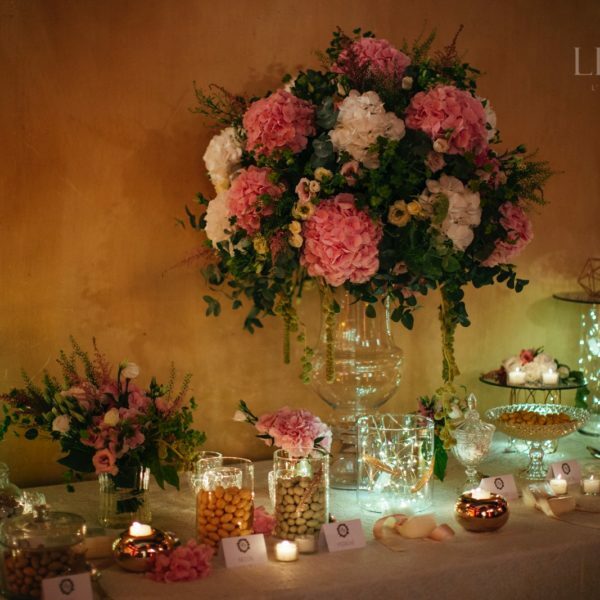 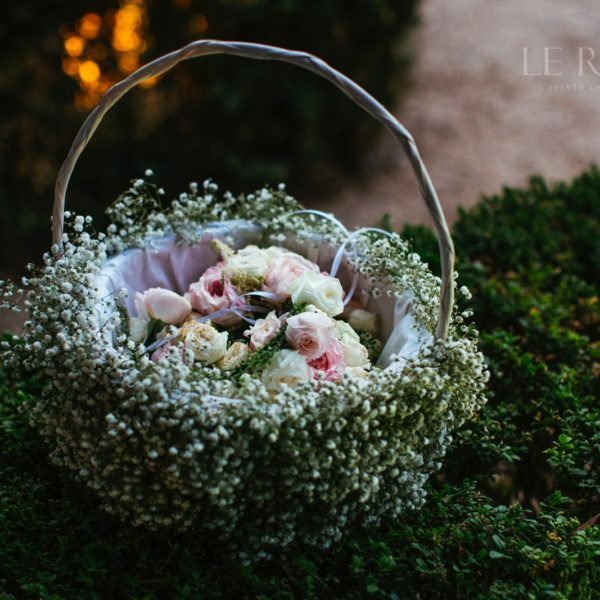 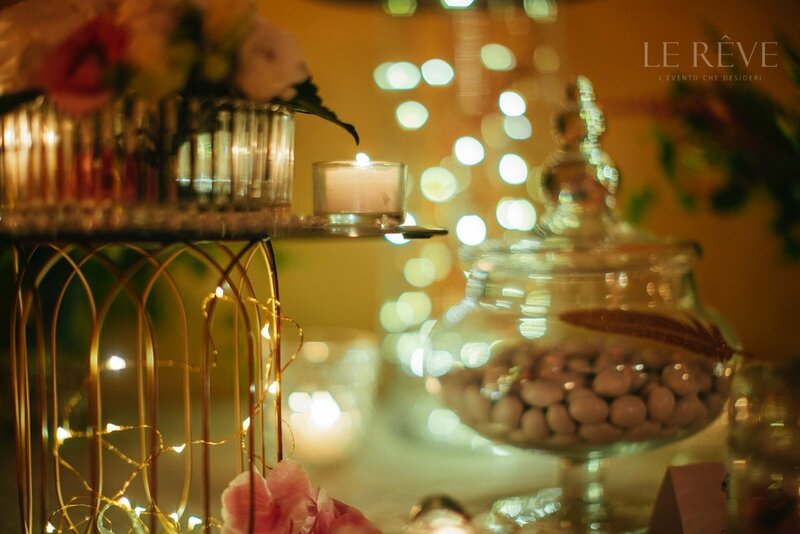 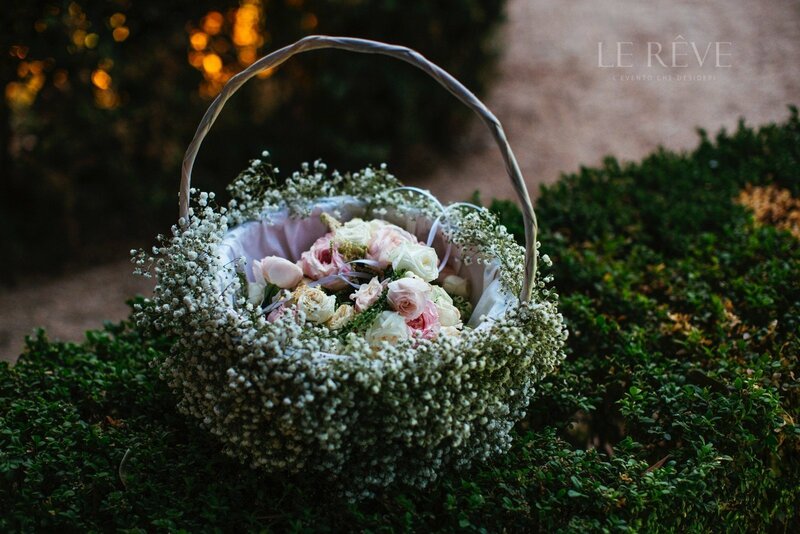 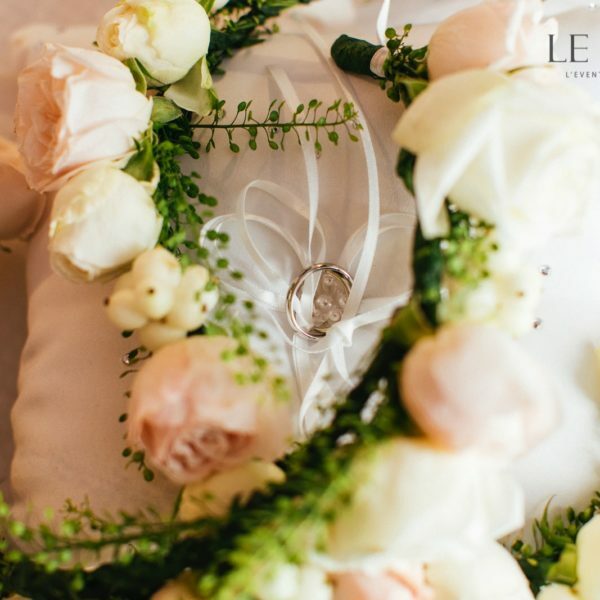 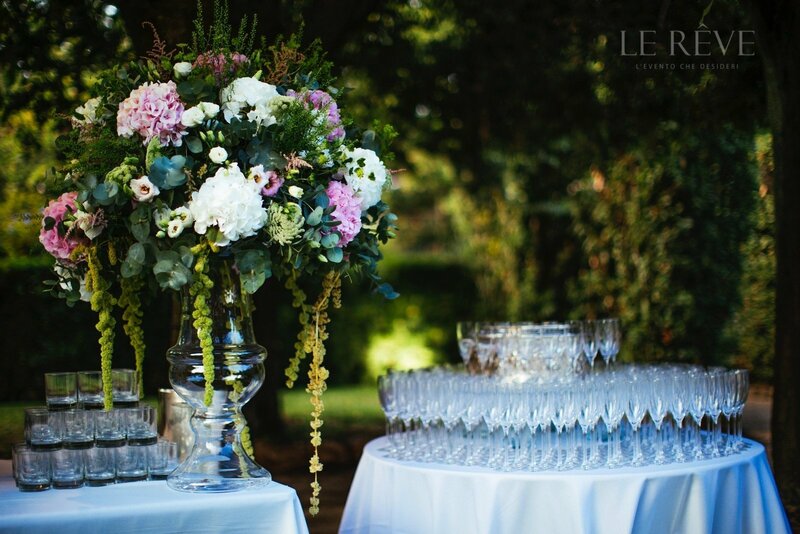 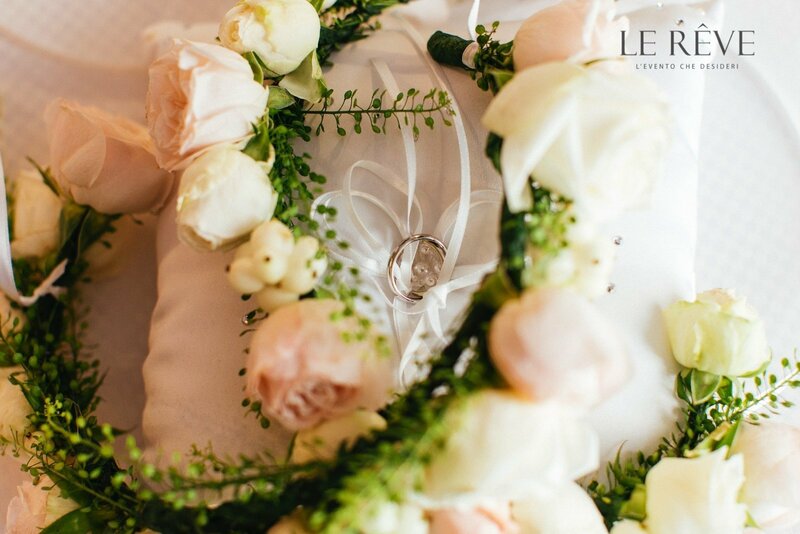 What distinguishes us and made Le Reve a different reality for Jewish wedding . 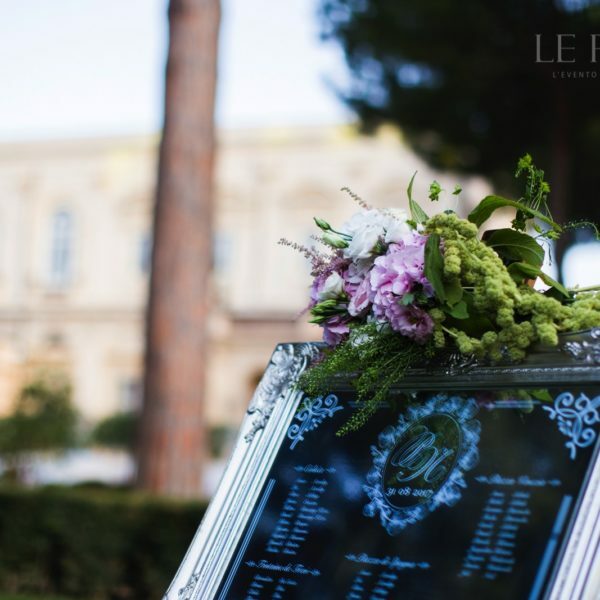 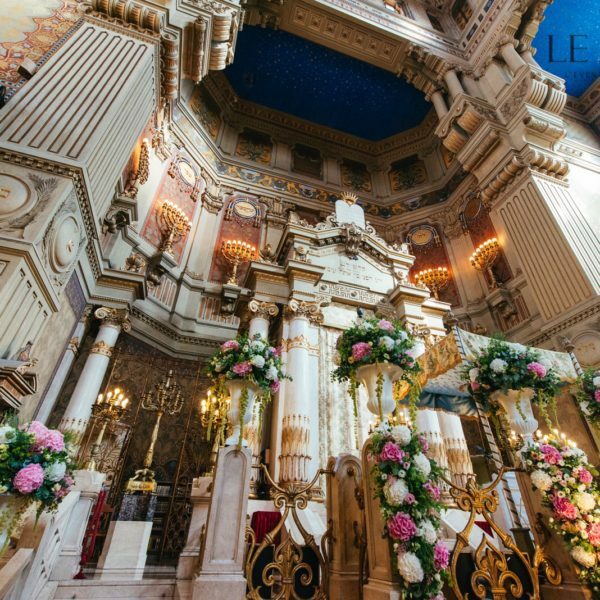 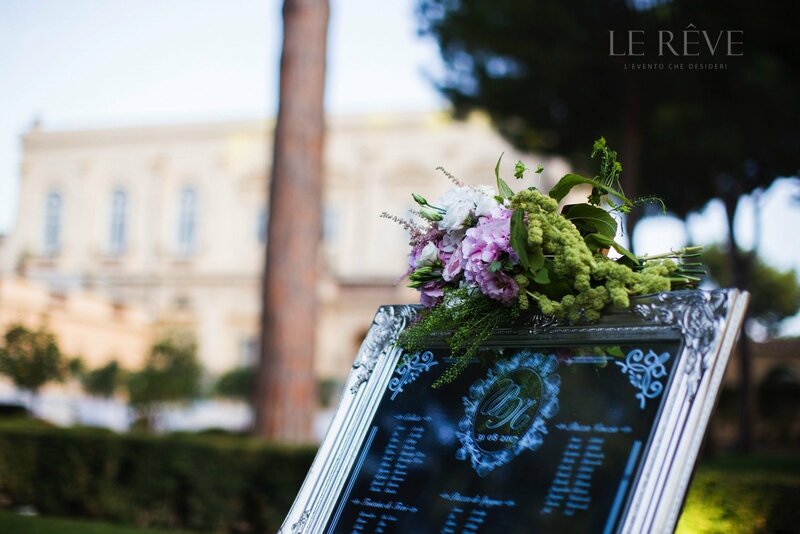 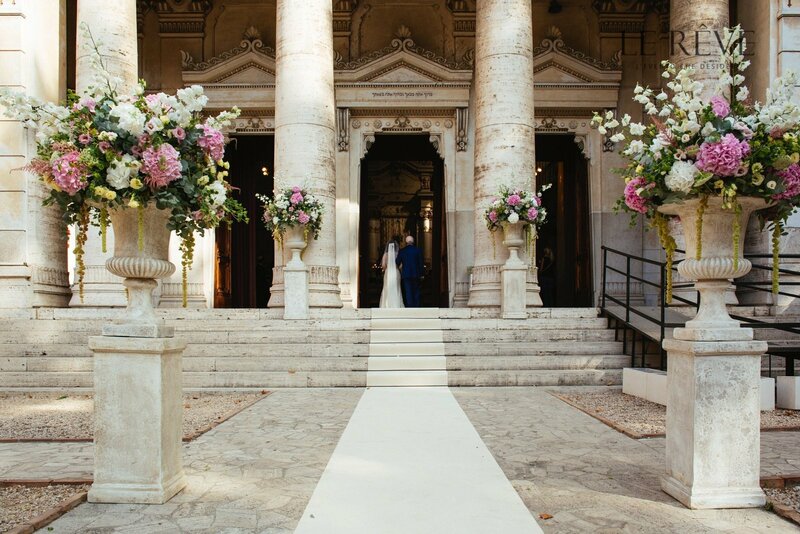 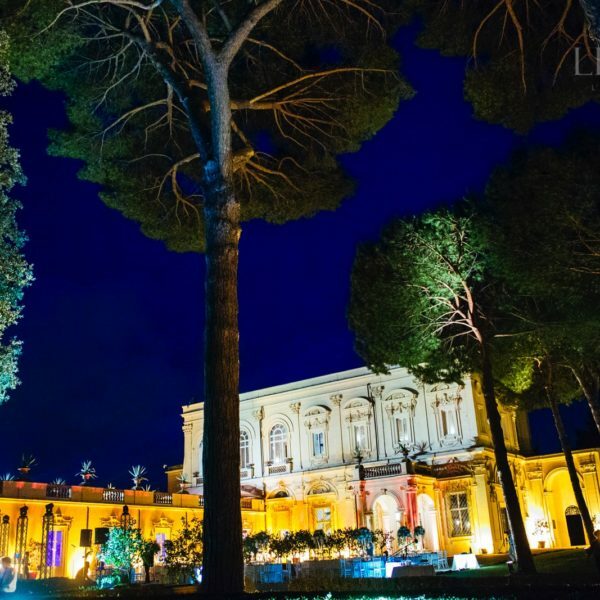 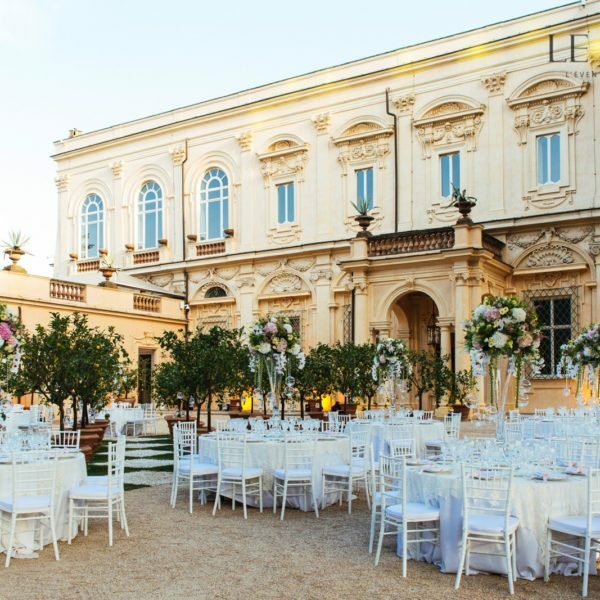 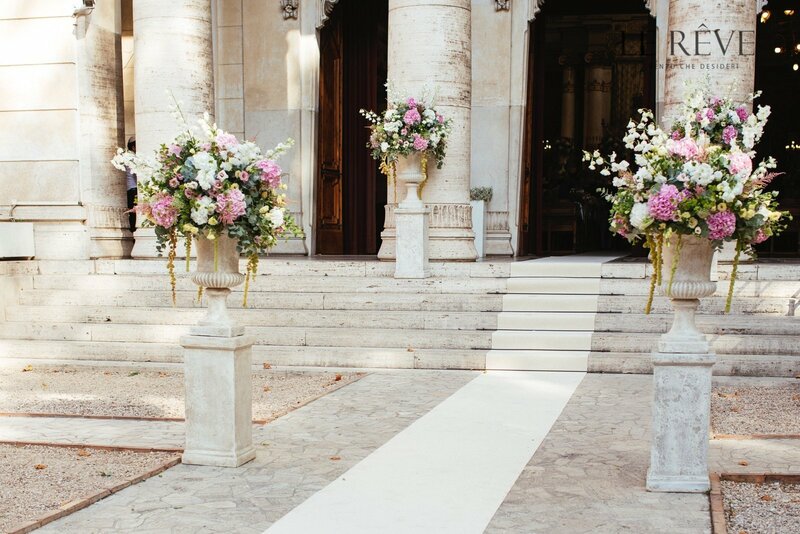 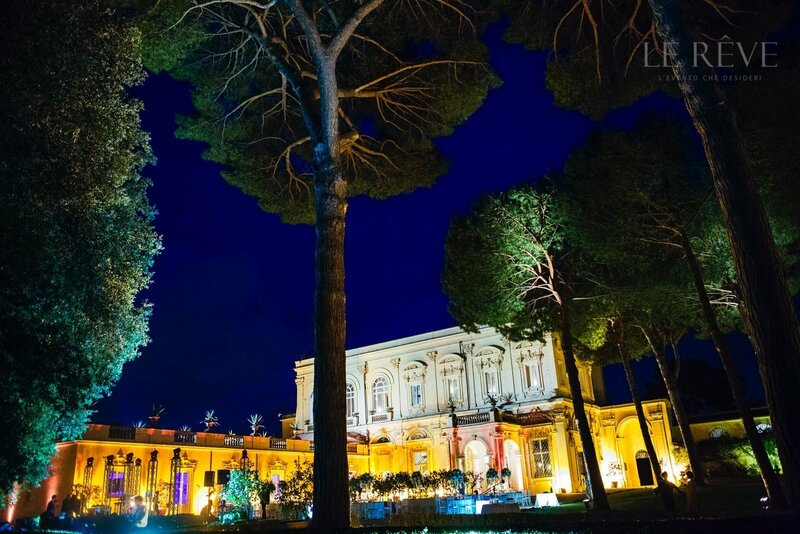 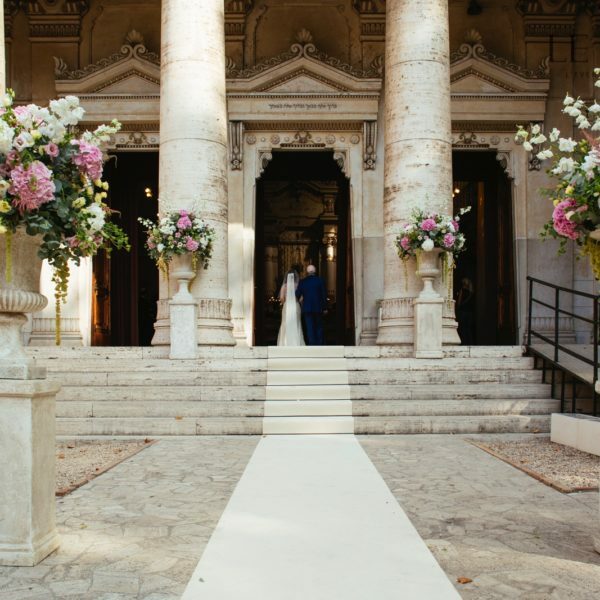 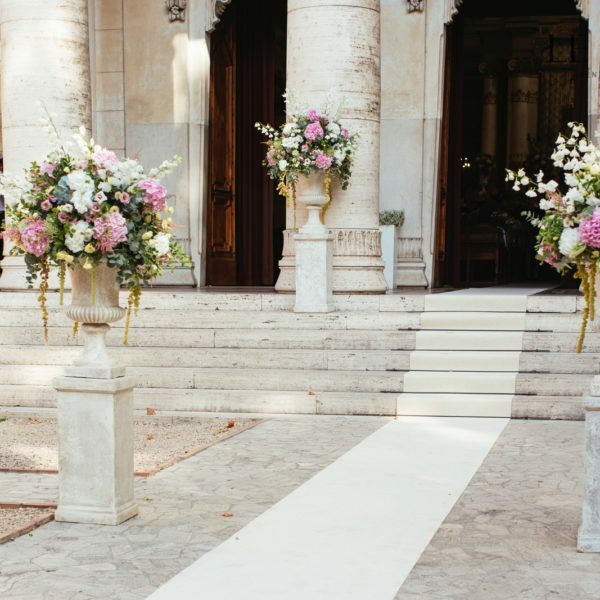 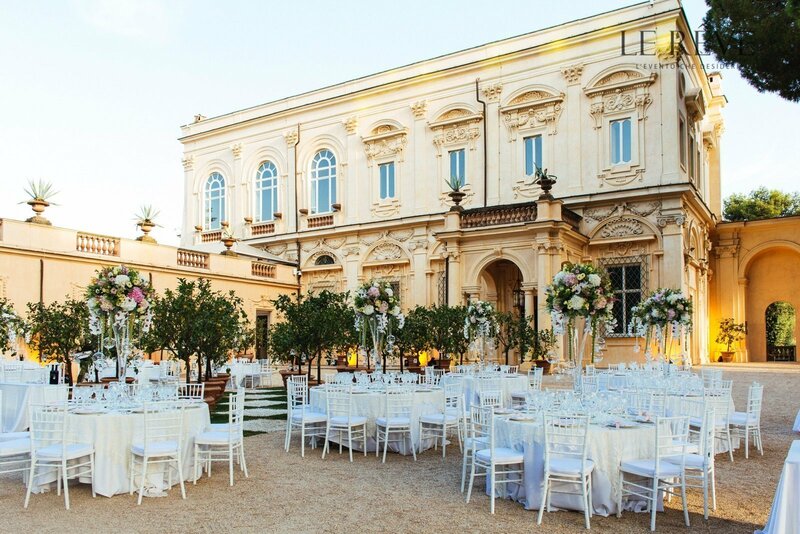 Nathanael and Prescilla choose Villa Aurelia for the reception of their special day that took place in the wonder of the main Synagogue of Rome . 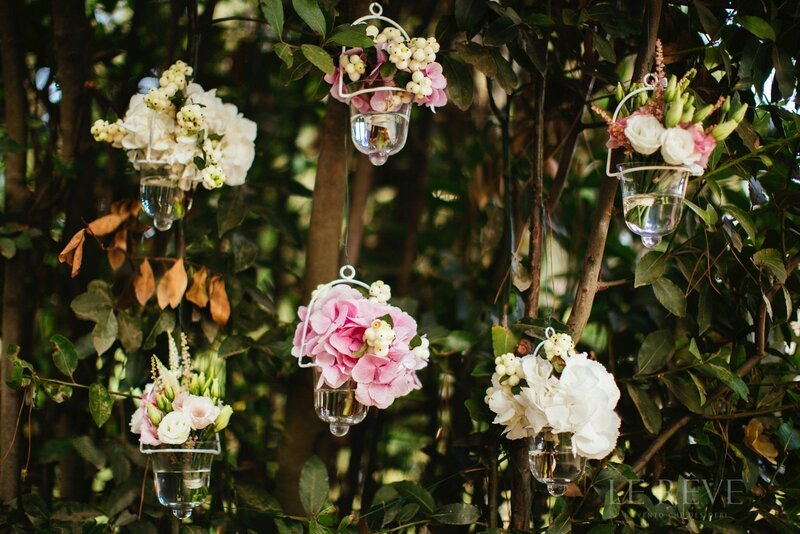 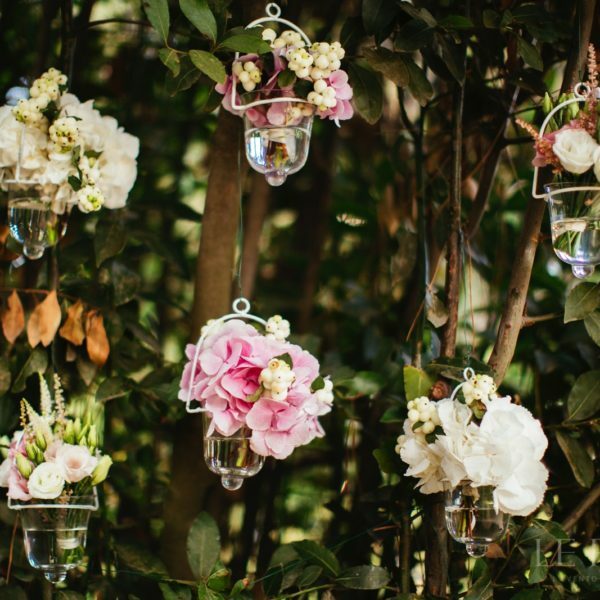 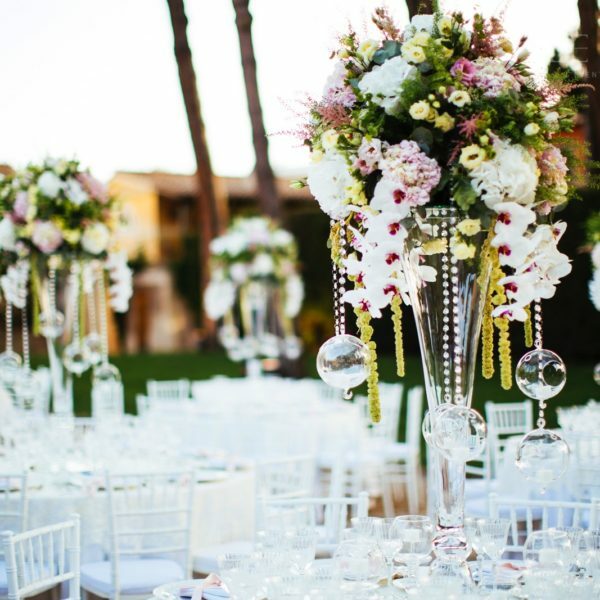 The choice of decorations was made together, even if they have entraste in me as few times happens, with calm and tranquility not always typical of those who approach the fateful day. 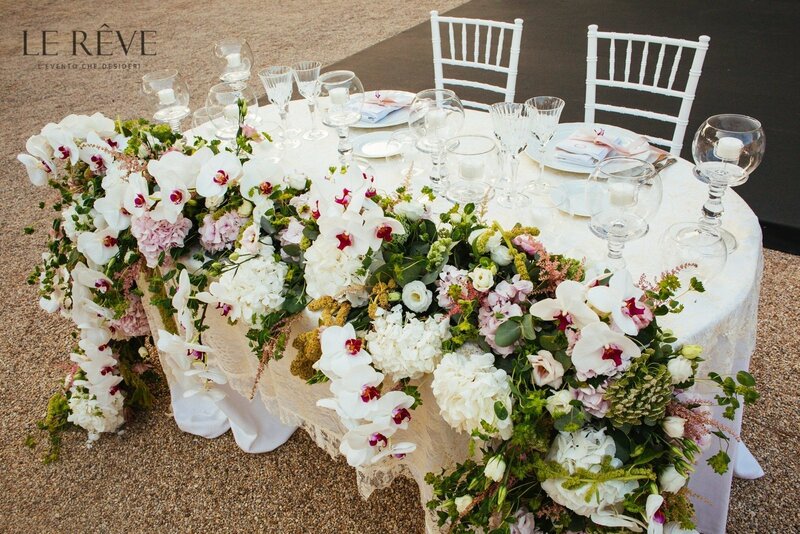 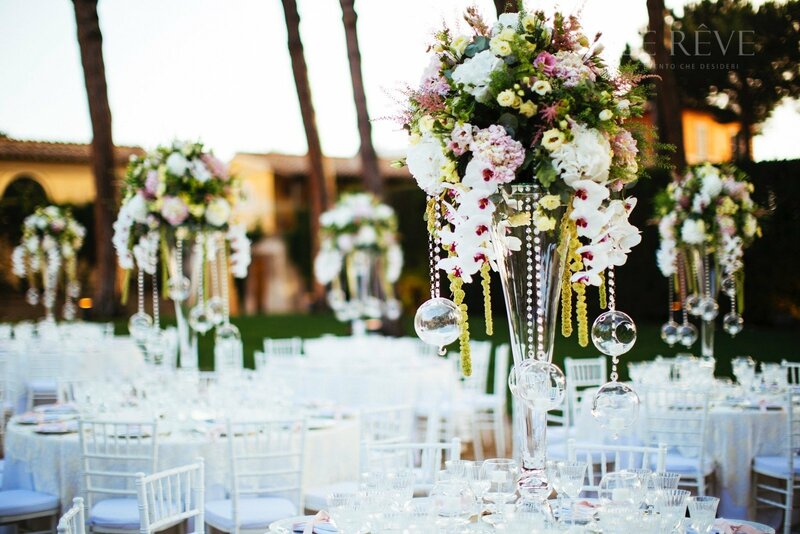 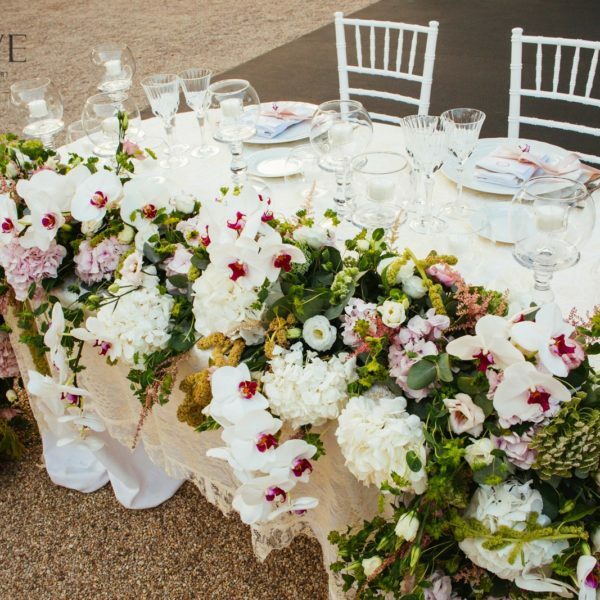 Floral decoration marche perfectly the idea we wanted to give to the day. 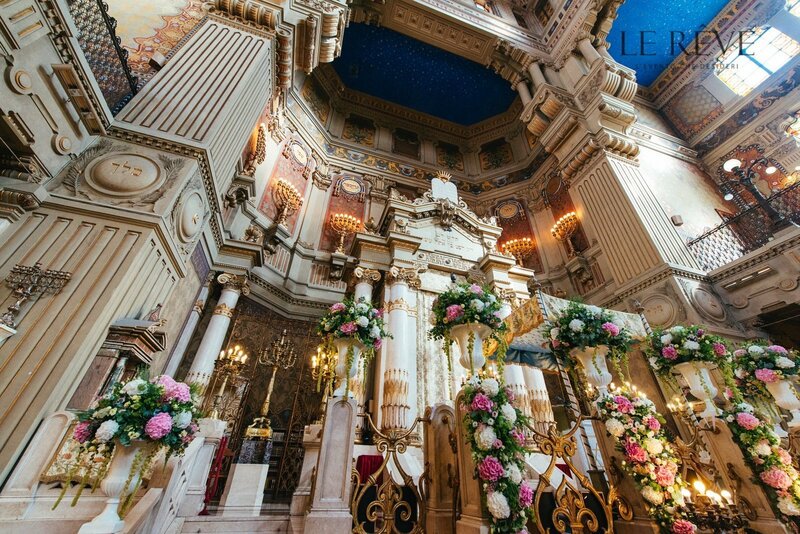 Pink and white flowers in different style and shades, in soft and rich compositions, were the guide to enter in the synagogue and an even more spectacular repetition in its interior. 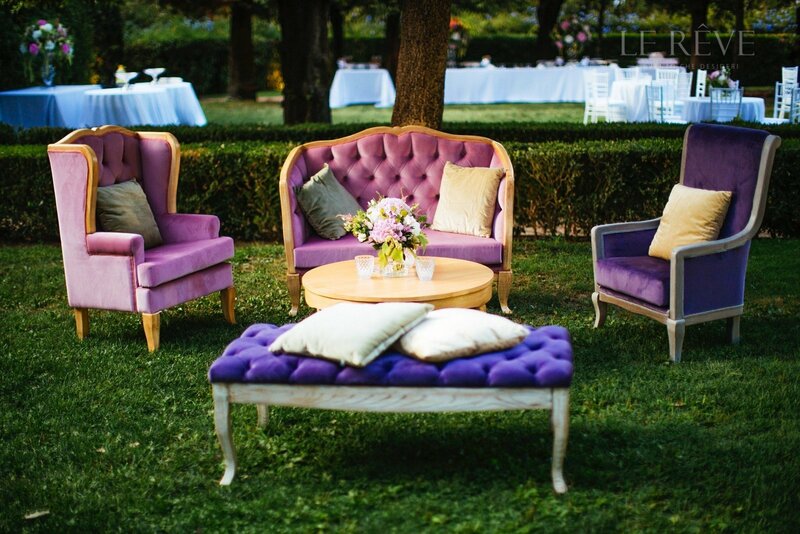 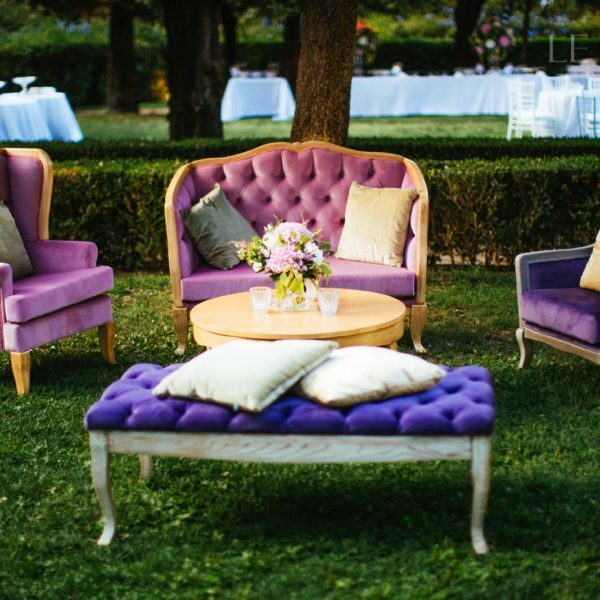 Pink and purple velvet sofas of parisian inspiration like the bride and groom were a perfect lounge area for the guests in the Vill. 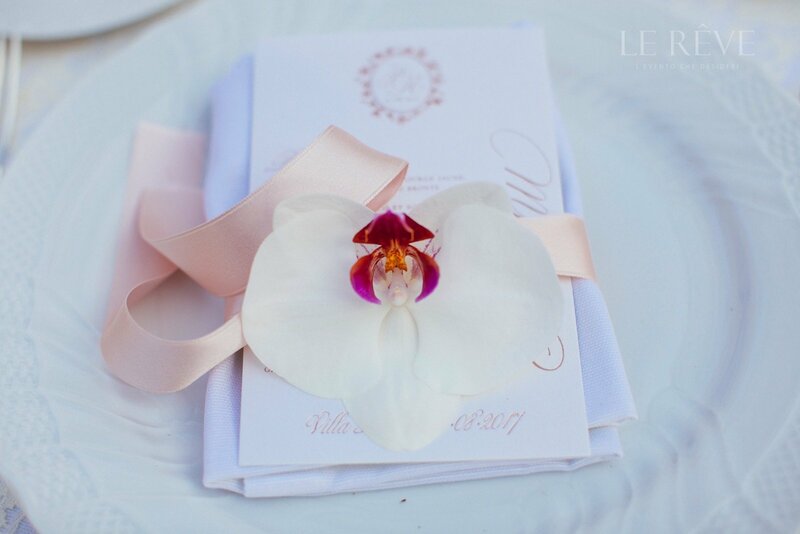 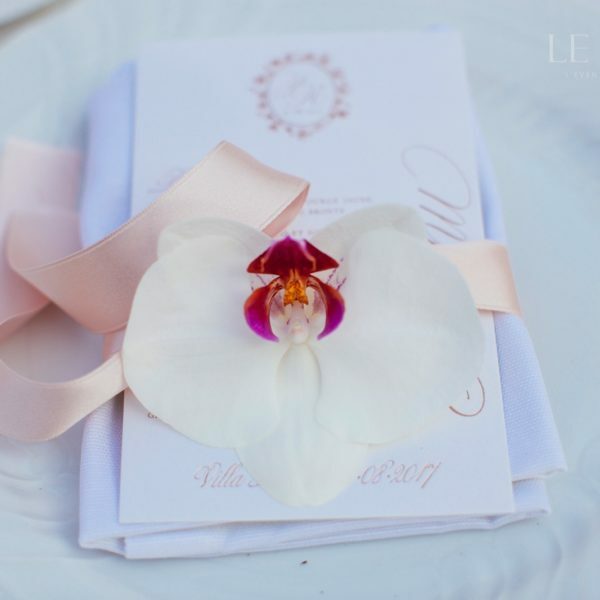 Small details symbolic of our taste as personalized graphic made of pink gold foil with monogram, orchids motiv on the menu also used as a marker. 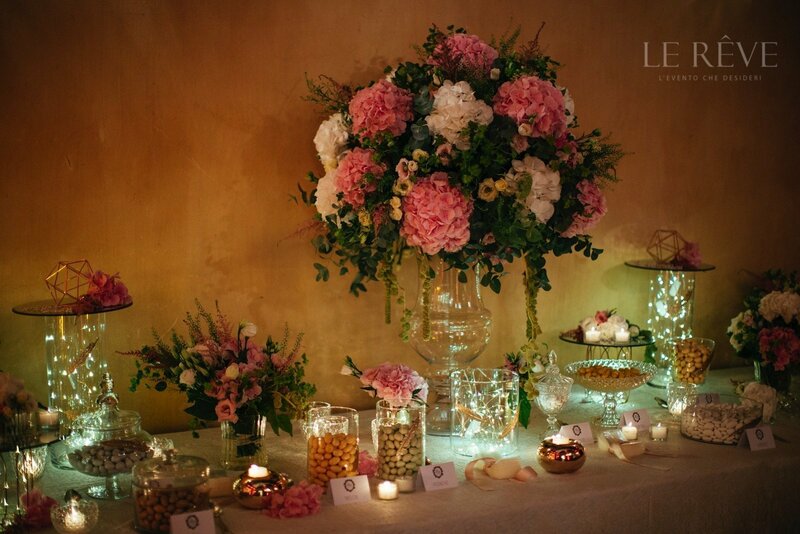 As in the best tradition, the table of sugared almond dragge has not been missing, we love it and we love it big! 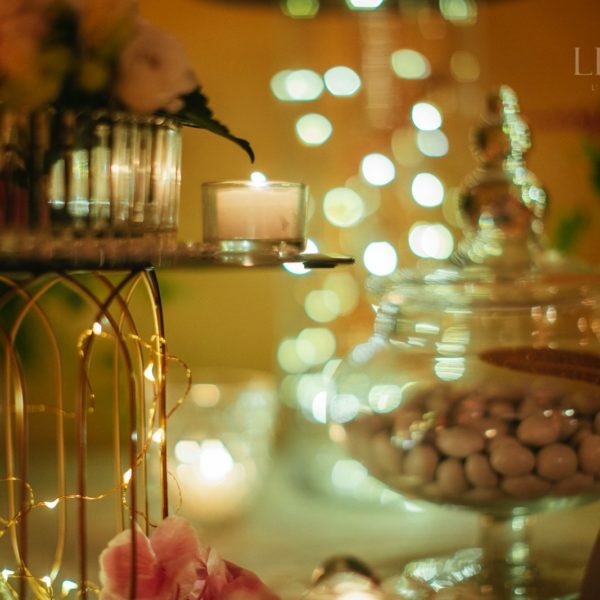 This time we have added some more details to the usual candles … pink gold copper items, feathers, glitter and led light because even the modern wants its part.